The Order of Marcus, long dormant in its isolation, is expanding. The renowned ranger Cornelius, armed with his spear and trained in the arts of subterfuge, has been tasked with preparing the world of Illis for the coming of the order. 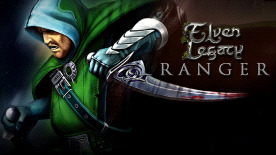 New Features: Ranger Cornelius possesses a holy spear that can apply special powers to his attacks. In Elven Legacy, each unit's operation could only be performed once per turn - one move and one attack. Ranger Cornelius can now use special attributes of his sacred spear without losing his turn. For example, he can activate a paralysing stroke and then throw the spear at the enemy. The enemy unit will not only suffer damage from the attack, but they will also be unable to move during the enemy’s turn.